The world has changed, emailing has not. 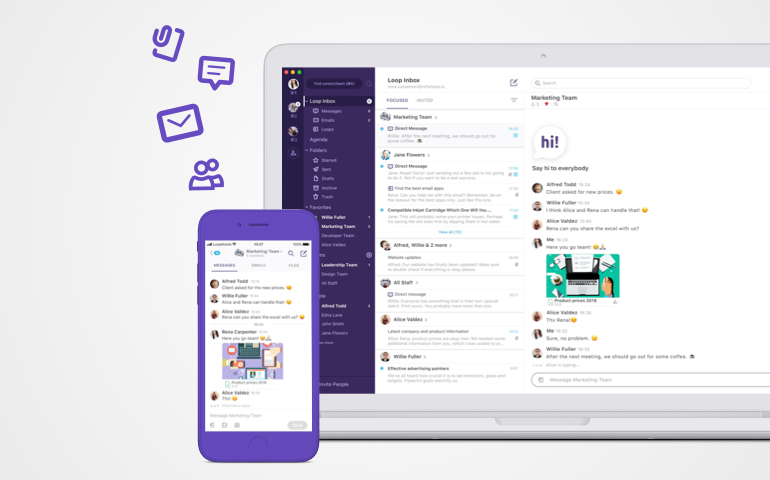 Loop Email is on a mission to change emailing by helping it become collaborative, real-time and organized around people, teams and apps. We live in a fast economy where great companies are driven by a culture of now. A culture that solves problems faster, a culture that listens and reacts to customers immediately and where real-time teamwork is the norm. Yet businesses continue to rely on traditional emailing to get things done. A practice we all find functional but frustrating, overwhelming and slow. A practice where we involve others using cc, bcc and forward, features that create more confusion and questions then provide help or answers. Numerous messaging/collaboration platforms have promised to diminish the influence of email. Yet email has never been stronger. We have yet to find a better alternative for providing a record of a business transaction, for connecting with someone outside of our businesses or for keeping our discussion on topic to actually get something done. We at Loop Email believe emailing needs to change and needs to change now. Loop Email gives you a new perspective on emailing. When we started our journey, we were searching for ways to help businesses disrupt existing collaboration practices. Like many, we saw teams were losing out on innovation, opportunities and efficiency. Everyone in the market was introducing their own platforms. We were all promising to help people work together more effectively. But we all had one thing in common: we were asking users to practice the new ways of working together outside of email. Great? Yes, because we finally had new ways of working together and we were liking it. No, because email was still there. The industry had solved most of the internal collaboration, but everyone was still using email for external communications and the “important” stuff. It was through this experience that it became clear to us that widespread adoption of modern all-inclusive collaboration was not possible without partnering with email. It is this insight that helped fuel our mission to deliver the best collaborative emailing experience to the market. The decision to partner with email was not just because email was not being replaced. Globally email continues to grow. Over 2.8 billion people use email to communicate or get things done with other people. That number positively dwarfs the less than 10 million active users reported by the market leading messaging platform. Email also dwarfs every other means of communication when comparing sheer volume. 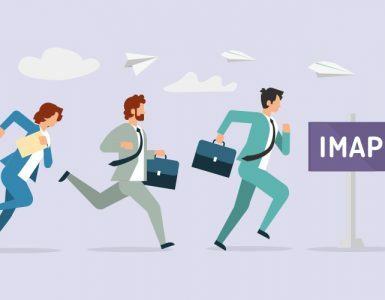 By the end of a typical workday, over 280 billion messages will have been exchanged through email (of which half could be classified as direct marketing), with the second largest platform coming in at a significantly lower 65 billion messages per day (WhatsApp). Email is also the leading tool used by the workforce. On average, we will have spent anywhere between 2.5 and 3.5 hours on email on a typical workday and over 50% of the time spent working outside the office. 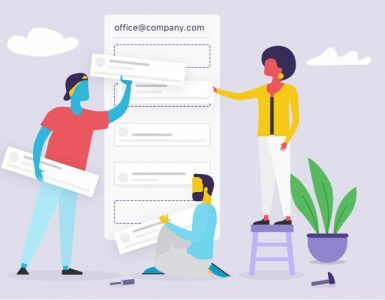 But most importantly, everyone and everything important for business comes into our inbox: your co-workers, customers, partners, your teams and your apps. In short, despite many envisioning a diminishing role of email in the enterprise, it has grown in volume, reach, criticality and importance. We had to rethink the traditional ‘one big email list’ approach to everything. It was cool to have one list when we had limited volume. Today, but for the most magnificently organised few, our inbox drives in us feelings of frustration, being overwhelmed and having things out of control. 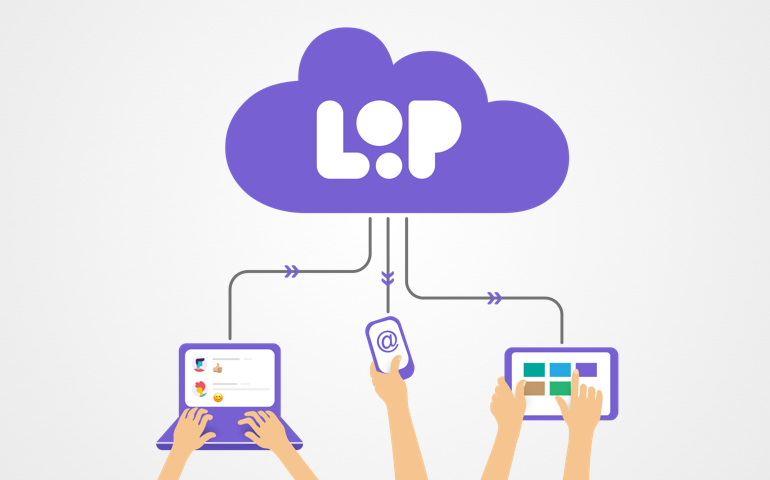 Loop Email auto-organizes your inbox into channels. Every contact in your inbox gets a channel, every group of recipients gets a channel and every named team you setup gets a channel. All your emails, direct messages and files are organized for you in one place. And even more importantly, everyone now has the ability to tune-in and tune-out of their channels of choice. You know the feeling of sending out a forward to get some help without any hope for an actual reply. Or putting all those names on the cc list afraid someone will miss out. 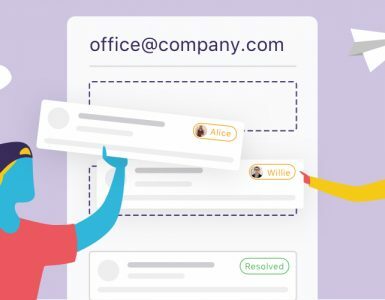 With Loop, it is now possible to get an instant response from your co-workers, stream live email updates to your team or just simply fast-track everyone into messaging because it was time to get stuff done quickly. It’s the best from emailing and messaging in one place, one click away. It’s now also possible to message people directly or create named teams. All benefits of real-time team collaboration for people registered on the platform but anyone on email can participate. One app where everyone comes together. The young, the old, the quick, the slow… One platform, one experience. At Loop, we envision a new world of collaborative emailing helping businesses everywhere adopt the “now” culture. A world where individuals, customers, teams and apps are working together to accomplish business objectives through one emailing experience. An emailing experience bringing everything together including a new way to get value from your apps. A world where every app has an email address that can interact with you the way you interact with your co-workers, your teams or your clients. An email address driven by an AI inspired bot learning about your needs and delivering personalized value from other apps directly to your inbox. An emailing practice that’s fit for the way we work today.